Before starting any book, I try to find the right characters to tell the story. 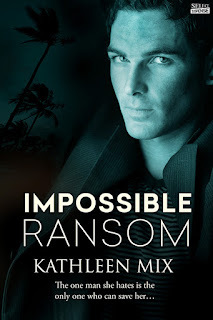 In Impossible Ransom, the heroine, Val, needed to meet a hero who could teach her that she could be independent and, at the same time, let the people who cared about her help her navigate the bumpy portions of life. When I envisioned Nick O’Shea, he seemed perfect for the job. As a result of both a sense of duty and a growing affection for Val, he’s driven by a deep-seated need to save her. He is also skilled in things she can only imagine. Nick and Val are reunited early in the story, which is lucky for her because without him she would have been in deep doo-doo. Although she discovers many surprising things about him in the course of the book, one of his talents stands out. He knows how to survive. She snorted at the weird emotion. He’d been ordering her around all day, treating her like her father had treated her as a teenager. She resented his superior manner, but could see where it was justified. She lacked the experience to subsist here on her own. A silly question she’d once heard asked of a celebrity during an interview jumped into her head. If you were stranded on a desert island, who would be the one person you would want to be stranded there with you? A week ago, Nick wouldn’t have made her list, but now, after seeing how capable he was, she wouldn’t hesitate to shout out his name. Being here with someone intellectual or famous would be fine if all she wanted to do was converse and pass the time. Having someone like Nick at your side was more advantageous if you wanted to survive. Val knows she is out of her element. She may want to be independent, be the modern female who is educated and progressive and capable of handling most problems on her own, but she also comes to see that leaning on others when they’re more capable is not an admission of failure. It’s the smart thing to do. From the beginning I knew Nick would be the right man for Val. She couldn’t have survived without him. He is also the man who completes her and makes surviving the kidnapping worthwhile. Comment and share your thoughts. Isn’t that the kind of man you’d want to be stranded on a desert island with, too? I would definitely want someone like Nick, someone with survival skills if I were stranded. I definitely would want a man like Nick to be on an island with because I probably wouldn't survive a week. LOL! This books sounds great and I will be adding it to my wish list. I would definitely want someone with some survival skills with me if I was stranded somewhere... thanks for sharing about your book! I would absolutely want to be stranded with a man who was capable. I'm not so sure. Yes, I'd want someone capable, but minus the treating like a teenager and the "superior manner." I'm pretty capable and have some survival skills of my own. I like having a partner, not a boss. Survival skills would be important on a desert island!